Oxidative imbalance can reduce animal productivity. If severe, it can lead to inflammation, reduced immune function and increased susceptibility to disease. 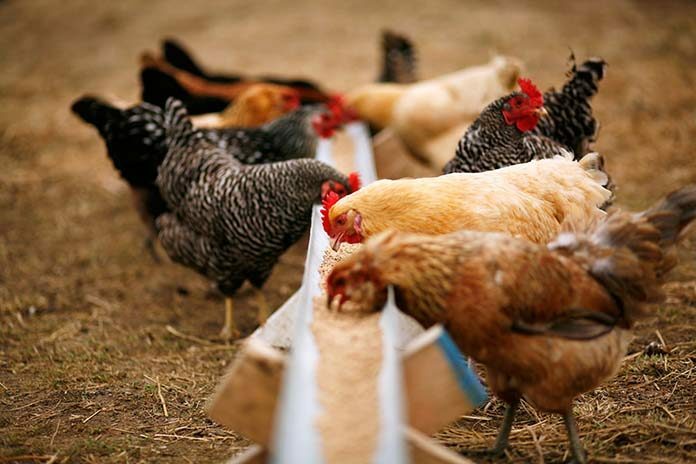 Livestock producers typically use vitamin E to increase the antioxidant capacity of animals and minimise economic losses. Recently, the price of vitamin E has risen significantly and might increase further, giving livestock producers a good reason to review their antioxidant sources and include new feed additives. The oxidative status of animals is affected by many factors, including diet quality, health status, and growth rate. These and other factors contribute to free radical formation. Excessive levels of free radicals can result in oxidative imbalance and stress. This imbalance can cause damage to DNA, proteins, and unsaturated fatty acids, leading to a decrease in productivity. Animals living close to ideal conditions, i.e. high quality diet and adequate environments are expected to require a vitamin E intake as indicated by the National Research Council (NRC) recommendations. However, if any of these conditions are not met, as in the case of animals raised in intensive production systems, then the antioxidant requirements are estimated to increase above the NRC recommendations. Vitamin E is not unique in its ability to neutralise free radicals. It belongs to a family of antioxidant compounds called polyphenols. Within this very diverse family, there are molecules having a greater antioxidant capacity per gram than vitamin E. Furthermore, some polyphenols have improved bioavailability. Thus, these improved activity and availability of some polyphenols result in a more effective antioxidant supply in livestock than vitamin E alone. Some nutrition companies have proved the efficacy of specifically selected polyphenols in both swine and poultry using a heat challenge model. Animals were fed either a negative control diet containing NRC-recommended levels of vitamin E, a positive control diet containing industry-standard levels of supplementation (above NRC), or a test diet in which the vitamin E above NRC was replaced by the polyphenol blend Selko AOmix. The results indicated that animals under a heat challenge, when fed vitamin E at NRC recommendations, presented signs of oxidative imbalance, showing a lower performance. This increase of oxidative imbalance was ameliorated by both, the higher level of vitamin E treatment and the treatment containing NRC levels of vitamin E plus Selko AOmix. There were no significant differences in terms of performance and antioxidant status between the higher level vitamin E treatment and that containing Selko AOmix.